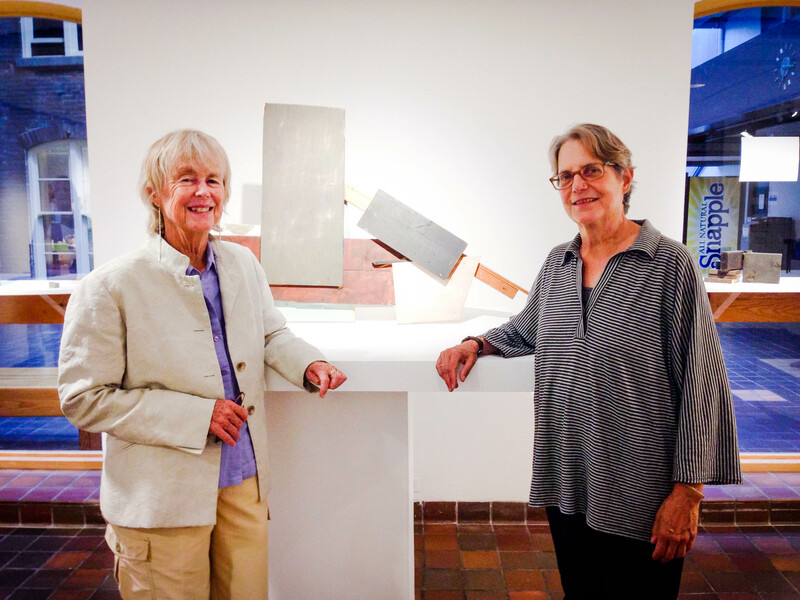 For the next two weeks, the Palmer Gallery will be occupied with objects such as a min­iature of wooden stairs bounded on both sides by a thick wall, a piece of sketch paper attached to a wooden block of the same color or some metal grid screens glued onto a rough piece of paper. These works belong to two artists, So­phia Healy, from White Creek, N.Y. and Andrea Woodner, based in Manhattan, in their first collaborative exhibition, “In Conversation”, at Vassar’s James W. Palmer Gallery. The initiative was brought up by the Associ­ate Director of the gallery, Monica Church, who used to work with Healy as a studio assistant. She describes this collaborative exhibition as a discovery. It all started with Church’s visit to Healy’s studio in White Creek. “I went in, and there were all these small pieces tacked up on the wall and I thought it was really beautiful. Then she said, ‘Do you want to see my friend Andrea’s storage space?’ When I saw Andrea’s sculptures, I said, ‘You guys need to show this work together,’” Church noted.